Coaching...Competent & confident owners have more fun sailing. 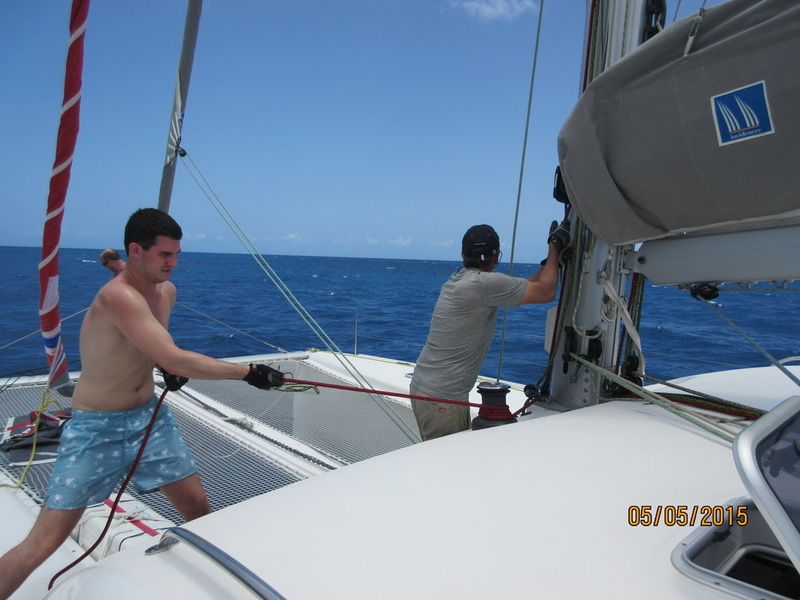 We specialize in owner aboard deliveries and truly enjoy the chance to work with owners helping them become skilled sailors, knowledgable in the maintenance of their boat and developing the live aboard skills that makes life on a boat fun and interesting. We both have instructor ratings: Claudia with the American Sailing Association (ASA) and Jan with South African Sailing (SAS). With over 400,000 combined nautical miles, we teach from experience. 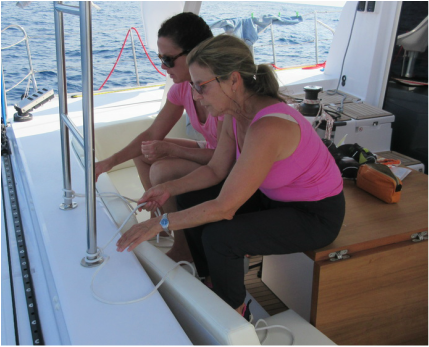 Sail training is generally conducted on the owner's vessel and ideally during a one to two week cruise where a variety of sail plans are used, where wind & weather conditions are varied, where close quarters maneuvering, docking and anchoring can all be performed. 2017 Three weeks of cruising in the Caribbean. with a couple: he RYA classes but little independent experience. She - no experience and reluctant.